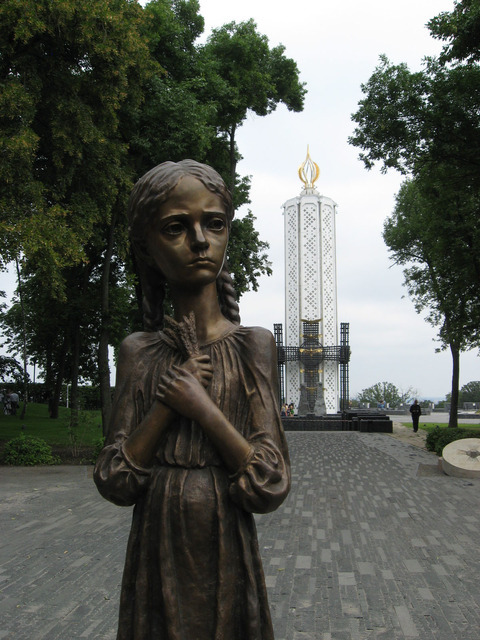 Ukrainian Orthodox Church of the USA - Famine (Holodomor) in Ukraine: 1932 - 1933! During the autumn every year we Ukrainians in the homeland and in the Diaspora gather together to honor the memory of our brothers and sisters who were made to suffer through the Holodomor of 1932-33. This year we mark 76 years since that terrible tragedy which was experienced by our nation, and we here in the Diaspora honor the memory of its victims. At this time we find many articles in our press which bear witness to this terrible act. We read about those who were swollen with hunger and starvation; those who witnessed the death of others; those who saw entire villages of the dead overgrown with weeds; those who saw the dead in the fields, on the highways, in towns on the streets; those who witnessed how corpses were loaded onto carts and taken to be buried in a common grave and of how an old man walked through the village gathering the bodies of dead babies in a sack to take them to the cemetery and give them burial. The answer is, of course, that yes, she could have. Stalin himself in January of 1933 stated that there was a great harvest in Ukraine in 1932. In other words, there was bread, bread to spare. If this was so, how did a famine occur? It is because this famine was needed by the communists. 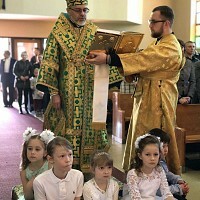 It was a phase of the battle with the Ukrainian intelligentsia, with the Ukrainian workers, with the villagers and peasants, with those who supported their Holy Orthodox Church, with those who maintained their Ukrainian language and wished to be the master in their own home. Following the orders of the red occupiers, thousands of NKVD (Soviet Secret Police) agents, members of the militia, members of the Communist Youth and other lackeys were set loose in Ukraine to go through the villages and take the last grains of wheat, not only from the silos and barns, but even from homes, where mothers had hidden some in hope of feeding their children. The population, especially in the villages, was left with no food. People began to starve, swell up, and die. In many villages from 50 to 75 percent of the population died, and those who had the means to do so wandered throughout the Soviet Union seeking a piece of bread or joined a collective farm to save themselves from a terrible death by hunger. The Bolsheviks knew that the world would condemn them for this great crime against Ukraine, and so in 1933 foreign correspondents were forbidden to visit Ukraine. The whole world learned, however, of this terror which engulfed Ukraine and newspapers in the free world began to write about it. The Soviet newspaper “Pravda” attacked the Austrian newspaper “Reichspost”, which published articles about the famine. The free world reacted – first of all the Ukrainian churches in the Diaspora, the League of Nations, the Congress of European Minorities. Neither protests nor charitable collections had any success, for the occupiers swore that there was no famine in Ukraine and therefore Ukraine needed no help. Seventy-six years have passed! Ukraine was not destroyed as her enemies had hoped, but continues to struggle to this today and believes in her ultimate victory! 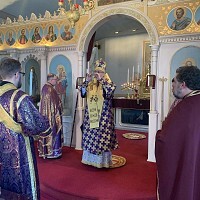 We gather every autumn to pray together for the repose of the souls of those who perished by starvation – that the Lord has granted them a place where the righteous dwell, and that He will give us the strength to continue the fight and not become discouraged, but to proceed with firm steps to victory, in building a strong and firm Ukrainian state. 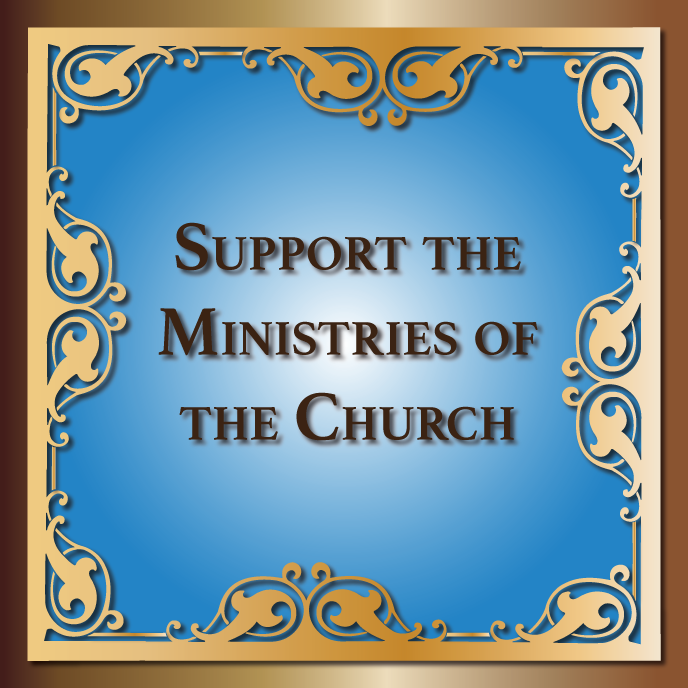 For the Ukrainian Language Version, Click Here!